Actonel Consumer information: Actonel is the brand name for risedronate sodium a drug that can be prescribed for the prevention as well as the treatment of post menopausal Osteoporosis. The drug comes in tablet form. This drug does not stimulate or affect the cells that build new bone (osteoblasts). While taking this drug, your osteoblasts continue to make new bone at the same pace as they did before you started taking this medication. BUT since Actonel prevents old bone from being removed as quickly, your bone density usually increases. So someone with Osteopenia, or thinning bones, is less likely to progress to Osteoporosis which is a more serious bone loss condition. Use and dosage. The prescription tablets are manufactured in three different doses 5mg, 30 mg and 35mg. The 5mg tablet is taken each day. The 30mg and 35mg tablets are for once a week use. The drug has been shown to reduce spinal fractures during the First Year of taking the medication. And it has been shown to be useful to men as well as women. "There is a high incidence of hip fractures in patients after hemiplegic stroke. Bone mineral density is decreased on the hemiplegic side in patients after stroke, correlating with the immobilization-induced bone resorption, the degree of paralysis, and hypovitaminosis D. The purpose of this study is to evaluate the effectiveness of risedronate sodium, an inhibitor of bone resorption, on osteoporosis and the risk of hip fractures in men 65 years or older after stroke." This medication should be taken in the morning with a full glass of water. You need to stay upright for at least 30 minutes after taking the tablet. Do not lie down or bend over. Also, do not eat or drink anything for at least 30 minutes. That means you need to wait the full 30 minutes before taking any other medications, vitamins or even your morning coffee. NOTE: If you lie down before 30 minutes is up, you risk damaging the lining of your stomach. If you eat or drink anything in the same time period, you can reduce the effectiveness of the drug.Be sure to follow your health care provider's instructions for this or any other prescription medication. Are there things I should discuss with my health care provider before taking this drug? Also if you have any condition that causes low levels of calcium in your body or if you have kidney disease be sure to remind your health care professional of this. It is not known if this drug will harm a fetus so if you are pregnant or if you can become pregnant, be sure to discuss this with your medical provider. The same is true if you are breast feeding. Can I take this drug if I take other prescriptions or over-the-counter medications? Piroxicam (Feldene) with your health care provider reviews ALL your medications. Also it is important to let your health care provider know if you use any herbal products. 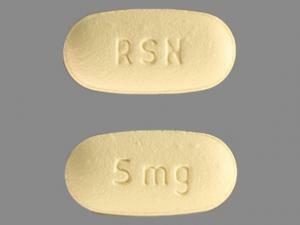 Some of these could interfere with Actonel (risendronate sodium) and you many need a different dosage. It is not usual that Herbal product interactions are listed in the company's Actonel consumer information. More Actonel consumer information: Are there any good side effects from taking this drug? Yes, there are - especially if you have Osteoarthritis. A British study of this drug and Osteoarthritis of the knee enrolled patients (40 to 80 years of age) with mild to moderate Osteoarthritis of the medial compartment of the knee. Results: "Risedronate (15 mg) significantly reduced markers of cartilage degradation and bone resorption (bone loss). Clear trends towards improvement were observed in both joint structure and symptoms in patients with primary knee OA treated with risedronate" (Actonel). If you have Osteoarthritis and Osteopenia or Osteoporosis, you may want to read more Actonel consumer information and/or talk with your physician. Special note: This web site offers science based information, not medical advice. For medical advice you need to consult a licensed medical practitioner. Have you used this drug? Would you be willing to make a comment about your experience? If so, please use this form for Actonel consumer information. NOTE: You must put the url from the top of this page in the first line of your comment so I know where to put your comment. Without that url, I shall not be able to post your comment. (Ah technology...) Thank you in advance for sharing your experience for this Actonel consumer information page.